Today we will be reading about the reason behind the remembrance of Tripura’s most enlightened king by Tripura’s newly formed government. Maharaja (Bubagra) Bir Bikram Kishore Manikya Debbarman, the last king, was perhaps the architect of modern Tripura. We cannot ignore the contribution in development planning made by the king who had planned the city for 5000 people about 150 years ago. Born on 19th August of 1908 in Tripura, the king was the first person to establish a higher educational institution in Tripura. 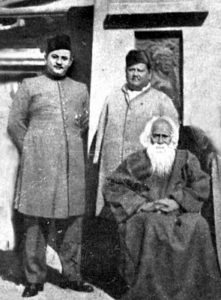 Maharaja Bir Bikram was one of the pioneers for the education and land reforms. He, who died at a very young age of 39 in 1947, was the first ruler of Tripura who visited Europe and America from 1931 to 1939. 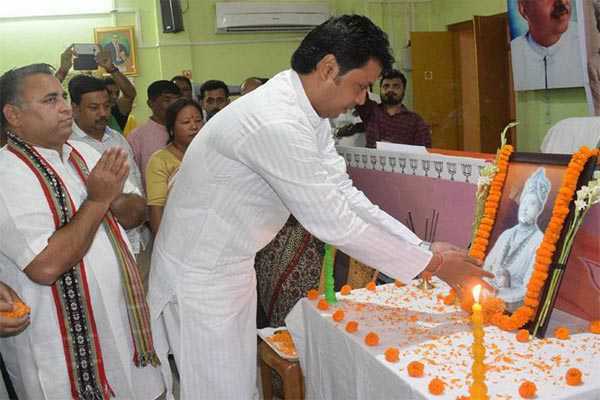 Tripura’s most enlightened king allowed a number of British companies to go for tea planting for the encouragement of tea industry in the state. The existence of Tripura Tribal Areas Autonomous District Council is also because of our last king – can you imagine this? However, some of his successors are Maharaja Kirit Bikram Kishore, Maharaja Pradyut Kishore Manikya Debbarman, Sachin Dev Burman, Rahul Dev Burman, Somdev Devvarman, and Sourabhee Debbarma. 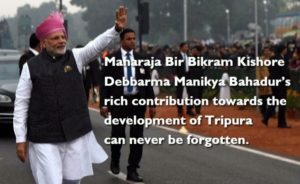 The newly formed BJP government wants to pay some development-oriented tribute to Maharaj Bir Bikram even though his descendant, Pradyot Kishore Manikya, belongs to Indian National Congress Party. The Chief Minister stated: “The development of Agartala airport, planning of Agartala city, national highway, sanitation system, schools, colleges, hospitals, administrative buildings and major tourist destinations were the contribution of Bir Bikram Manikya.